CoolSculpting® is an innovative, non-invasive way to contour your body by freezing unwanted fat away. Faces of South Tampa is proud to be a CoolSculpting® Certified Practice as well as a Premier level provider. Faces is one of Tampa Bay's certified DualSculptingTM specialists, offering the revolutionary body contouring treatment with Dual Attachment capability. With DualSculptingTM, the CoolSculpting Specialists can target and sculpt away stubborn, exercise and diet-resistant fat, without surgery or downtime, in half the treatment time. CoolSculpting® doesn’t burn, shatter or extract any cells. Developed by Harvard scientists, the unique, FDA-cleared, patented procedure uses a targeted cooling process that kills the fat cells underneath the skin, literally freezing them to the point of elimination. Only fat cells are frozen. Your healthy skin cells remain, well, healthy. 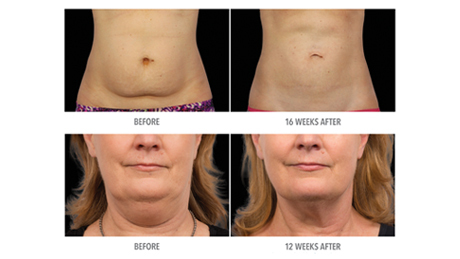 Faces of South Tampa has all of the latest CoolSculpting® technology... providing clients with optimal results. CoolSculpting®: The revolutionary, non-invasive way to safely and effectively reduce unwanted body fat with certain treatment areas in as little as 35 minutes.  Faces of South Tampa can treat stubborn fat in the following areas: upper and lower abdomen, inner thighs, outer thighs, above the knees, flank (side), under your chin (double-chin), upper arms, axillary fat pads (under armpit), back fat (bra bulge), male chest and underneath your buttocks (banana roll). CoolSculpting® is FDA-cleared and delivers undeniable results in as little as one treatment. Contact Faces of South Tampa today to schedule your complimentary consultation.